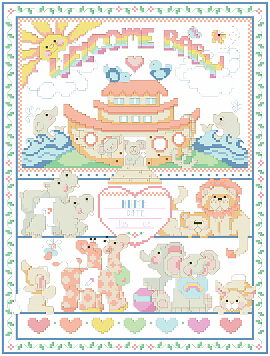 PDF Download - This delightful interpretation of Noah's Ark will welcome any baby into their new family. The whimsical animals are sure to bring a smile to anyone's face. It makes a charming heirloom reminder of baby's birth.